Computer and information literacy refers to an individual’s ability to use computers to investigate, create and communicate in order to participate effectively at home, at school, in the workplace and in the community. CIL brings together technical competence and intellectual capacity to achieve a communicative purpose. 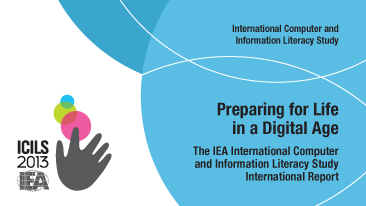 IEA ICILS measures international differences in CIL and computer use in Grade 8 (or its national equivalent) students. It also collects information about contexts (at the student, school and system level) in which CIL is developed. What variations exist between countries, and within countries, in student CIL? What aspects of students’ use of computers and other ICT’s are related to student achievement in CIL? What characteristics of students’ technological backgrounds are related to student achievement in CIL? What individual/personal student characteristics are related to student achievement in CIL? 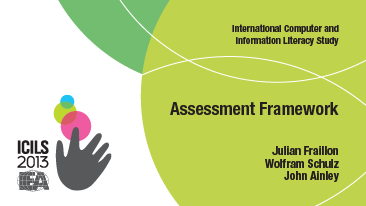 Computer-based test of CIL delivering a range of authentic assessment modules in a seamless environment. A second cycle of the study is currently being conducted with a Main Survey in 2018. A broad timeline is shown below. For further information, please see this brochure. For information about the Computational Thinking component of the study for ICILS 2018, please see this leaflet. View more information about ACER project staff and ways to get in touch.